The hugely popular Rangoli Awards, by UNIMO , celebrates women achievers from all walks of life. An intensive jury session evaluates nominations from all over the world for categories of Business Woman of the Year, Rising Star, Hustler & Community Bridge Builder. Each year, an elite panel of chief guests comprising eminent people across Education, Entertainment & Media industry honour the Rangoli awards to women achievers – women who inspire others everyday. The 2019 awards, held on 29th March at Holiday Inn, Mumbai, joined hands with #IWD2019 theme #BalanceforBetter to fill in the gender gap. UNIMO, the Universe of moms is the world’s largest and fastest growing community with 3.25 lac digitally connected members on Facebook and 21 chapters across the globe. The only community to be endorsed by Facebook and personally appreciated by Sheryl Sandberg. UNIMO founder, the very energetic, Neha Kare Kanabar has been chosen by Facebook to lead Community leadership initiatives. Sometimes the name speaks for itself, this is one such example. When I ventured into writing a few years back, it all started with a single blog post. Having a 9 year corporate experience in Digital space and 2 years as a hyperlocal start-up founder, I took to writing considering it as a known territory. B.Tech by education, I felt I understood the nuances of internet and worldwideweb. Boy, what unfolded was a multi-layered zig-saw puzzle, with no one defined path to success. Looking back today, I feel very content and sometimes in awe of what I have achieved as a writer, blogger and influencer. I am extremely honoured and fortunate to be receiving such an industry recognised award. 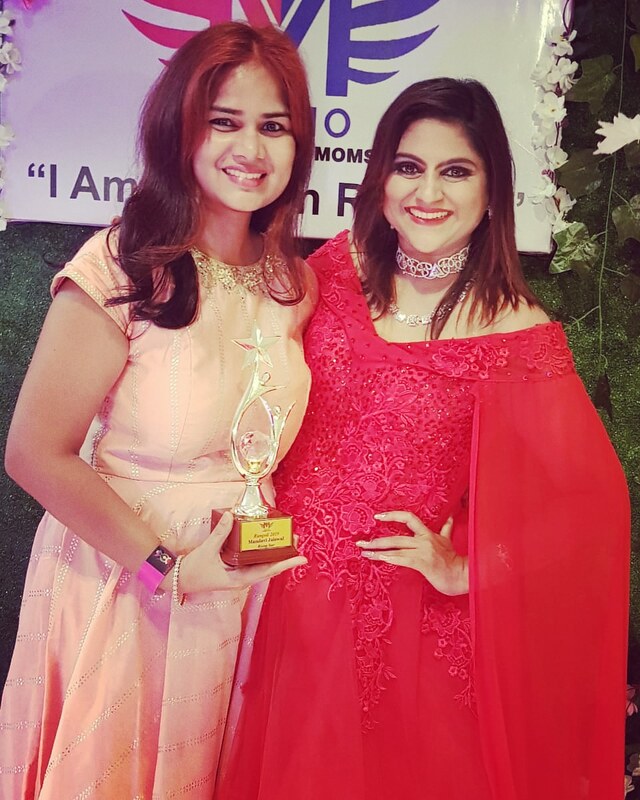 The “Rising Star award” is a prestigious validation of my body of works and I am eternally grateful to Neha Kare Kanabar, founder of UNIMO and the jury members, for this recognition. For a community of this scale, I am sure every other nominee was as capable, if not more, of winning this award. Thank you for believing in me, in my courage and my ability to inspire others – EVERYDAY. What an evening of glitz, glamor and energy. What an extravaganza, with renowned personalities from across the board as chief guests, comperes and sponsors. My genuine whole-hearted shoutout goes to Momspresso for providing me immense encouragement towards building 10 million views across my articles. A stepping platform from where I went on to write for magazines, TOI and many others. My love for you will never outgrow. Mansi Gohil Parikh – How is the JOSH? Special category of Unsung Hero-for the men who have been steadfast in supporting their women unconditionally. UNIMO Prive is India’s first elite paid club for Prive pals to network with like-minded women across cities. The club membership was inaugurated at Rangoli 2019.